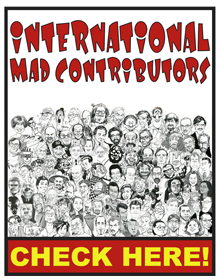 Welcome to the MAD Magazine Contributor list. 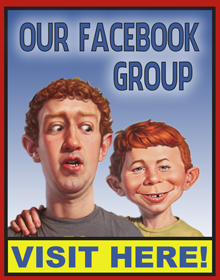 We try to track every US or foreign artist, who has worked for the MAD magazine. Currently 1939 international artists listed! 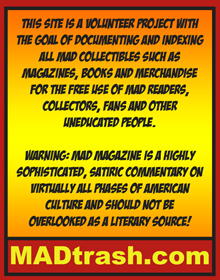 Everyone can contribute images and information about artists as needed, so we can collectively catalog every MAD Magazine artists. In order to start contributing please follow this link. 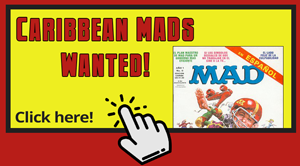 MAD magazine artists are listed in alphabetical order. You can change the order by clicking the arrows of the column headings. This list is huge, but don't worrry.! You don't have to scroll...just type the name or country into the 'Filter Artist' field.